I lean and loafe at my ease observing a spear of summer grass." Leaves of Grass Landscaping is a unique landscaping company owned and operated by Todd Logan since 2009. Located in St. Petersburg Florida and serving the immediate surrounding areas, Todd is a believer of designing edible and native plant landscapes to encourage everyone in St. Pete to grow their own food and support wildlife. At the core of Leaves of Grass is the understanding that growing ones own food not only reinforces healthier eating habits, it also cultivates an appreciation for the natural world and creates an unsurpassed aesthetic beauty. 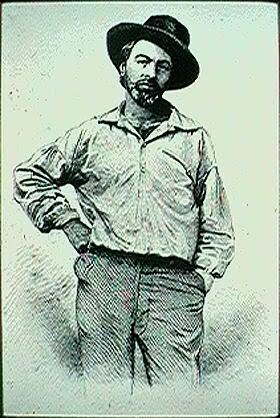 Walt Whitman stated from the first edition of Leaves Of Grass... “"The proof of a poet is that his country absorbs him as affectionately as he has absorbed it." Taking this quote into consideration Leaves Of Grass Landscaping believes the proof of a landscaper to be that the community absorbs the Landscaper just as affectionately as the Landscaper absorbs the community, thus making the world the beautiful place it needs to be.